The New York Police Department used undercover cops to gain intimate access to the organizing core of the city's Black Lives Matter activists in 2014 and 2015, revealing to police protesters' plans and trusted communications, new documents show. The documents, mostly emails between undercover NYPD cops and NYPD officials, were ordered to be released following a February court ruling. The new materials show the extent of surveillance employed by the largest police force in the US against protesters seeking to point out the disproportionate impact of state violence on people of color, especially African-Americans, in New York City. By embedding cops into Black Lives Matter (BLM) protesters' decision-making operations, the NYPD was able to gain possession of group text exchanges and organizing details that revealed the basic plans of BLM protesters in 2014 and 2015 following the NYPD killing of Eric Garner, an unarmed black man, in July 2014. One email from an NYPD official shows that that the department was monitoring an NYPD cop who was embedded within a small group of BLM protesters on their way to Grand Central Station. This type of approach allowed the NYPD to understand the group's movements and plans ahead of time. The new documents, in which all dates were redacted prior to public release, also include pictures and a short video of Grand Central demonstrations. In one photo, an undercover cop identified a person in a brown jacket as the "main protester." 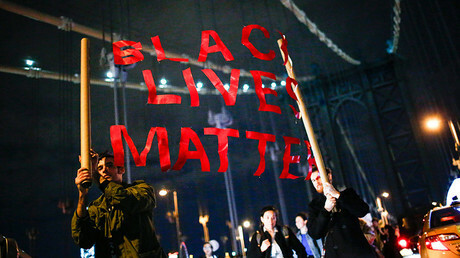 BLM protesters and supporters said the level of access gained by the NYPD amounted to a covertly compromised inner circle of demonstration planners amid a protest movement that was overtly viewed with suspicion, if not outright opposed, by the NYPD and much of the power structure in New York City and across the nation. Keegan Stephan, an activist and law student involved in Grand Central demonstrations and who has assisted in the effort to obtain the documents, said the new revelations indicate a chilling degree of deception amongst trusted organizers. Stephan told RT America that the documents further expose undercover infiltration of social movements, a known, "disruptive tactic" within protest policing. "One problem with this policing occurring in secret, and never being disclosed, even years after the fact, is that it is undemocratic – it is never debated by and approved by the public, so it continues even though most of the public might think it should not," Stephan said in an email. The documents show that NYPD undercover officers described the protesters as "peaceful,""very quiet," and "orderly," yet continued to surveil them. Stephan said this dichotomy must be at the center of public debate. 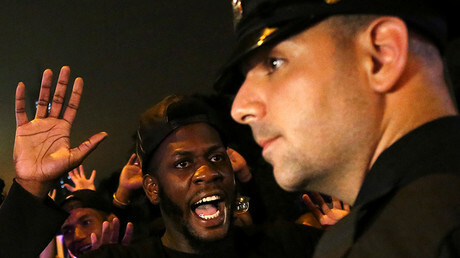 "The NYPD, in their own records, called these protests completely peaceful, yet continued to infiltrate them," he said. "I'm hopeful that most of the public does not think the NYPD should be infiltrating completely peaceful, First Amendment activity, and demand that it stops." An attorney who was part of the lawsuit that triggered the release of the documents said the materials do not indicate a crime had been or was going to be committed, and that NYPD spying was politically motivated. "There was no law enforcement need for undercover surveillance or infiltration of these protests. 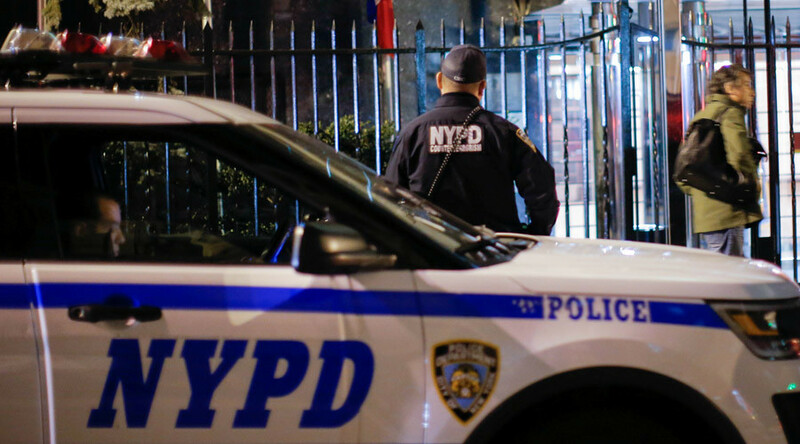 This was politically motivated action by the NYPD against a group it considers its political enemy,"said David Thompson, a partner with the firm Stecklow & Thompson, in a news release. 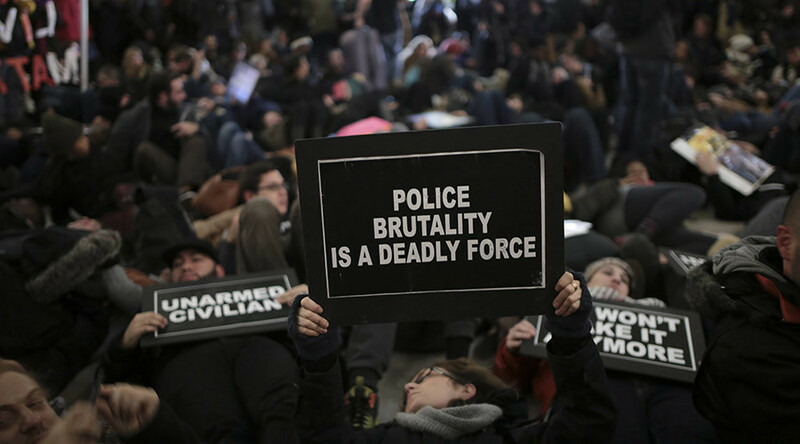 M.J. Williams, a counsel with Stecklow & Thompson, said the court-ordered disclosure was incomplete, suggesting the department is withholding more damning evidence, especially concerning video taken of protests by the NYPD. "So if NYPD was truthful with the court, then this additional footage exists, but is still being withheld," she said. The attorneys said they will "continue to pursue the matter until the NYPD obeys the court's order in it entirety." Based on NYPD's own guidelines, the department cannot begin to investigate constitutionally protected activities unless "facts or circumstances reasonably indicate that an unlawful act has been, is being, or will be committed" and only if surveillance operations are approved by a committee. That committee, the Handschu Authority, was staffed only by NYPD officials at the time, the Guardian reported. There are loopholes to the intelligence-gathering rules, however, that allow the NYPD to investigate leads and execute "preliminary inquiries," calling into question whether the department's internal surveillance laws actually limit police activity or are simply a matter of the NYPD's own enforcement prerogatives. 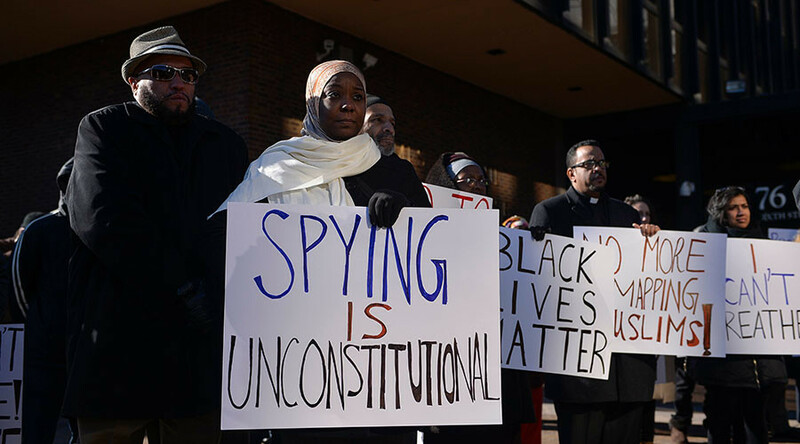 Kim Ortiz, an organizer for the activist group NYC Shut It Down, said the NYPD's spying on BLM protesters is par for the course in New York City. "The constant surveillance is definitely troubling," she said in the news release. "But we know our history, the history of the Black Panthers, and NYPD’s efforts to take them down as well as other political movements that threaten the status quo. But we are not going to stop protesting, not until we force shifts in power that will guarantee my kids will grow up safe." The freedom of information lawsuit seeking to provide insight into the NYPD's surveillance operations of BLM protests was filed after the NYPD refused to comply with records requests. 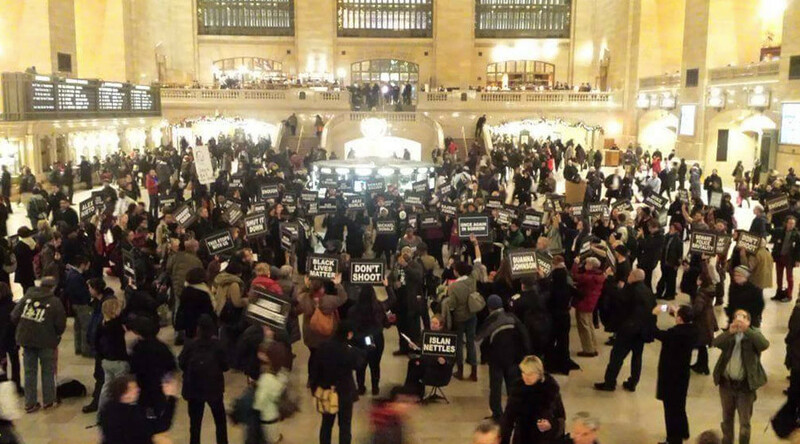 In response to the lawsuit, the NYPD revealed in September 2016 documents that indicated undercover police officers monitored BLM protests, including Grand Central Station demonstrations. In February, a New York Supreme Court judge ruled that the NYPD had to comply with the records request related to the lawsuit, paving the way for the new disclosures. Last month, the Stecklow & Thompson attorneys uncovered evidence showing that the NYPD recorded BLM demonstrations and, years earlier, Occupy Wall Street protests hundreds of times without proper authorization.